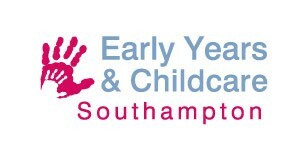 Early years providers working in partnership to provide the childcare for a child. A childminder and a pre-school. A day nursery and a pre-school. An out of school /holiday provider and a pre-school. One provision some days and a second provision the rest of the week. One provision in the morning and a second provision in the afternoon. One provision during the day and a second provision before and after the preschool. One provision during term time and a second provision for the school holidays. Most importantly Blended Childcare is about providers working together; ensuring the welfare of the child is at the heart of the partnership. The providers share information about the child’s well-being and development and work together to progress their development, in partnership with the child’s parents. Long days in a group environment may be too much for some children. Time spent in a home based environment may suit them better. This can be particularly true for two year olds. A combination of the two different environments may be right for many children. A pre-school may not open the hours or number of weeks the parents need; they can work in partnership with childminders/day nurseries in their area who are able to provide the additional hours/weeks. The family will determine what they want and what they feel is best for their child. However, the early years providers as professionals may help them to make an informed decision. Early Years funding can be shared between more than one provision. Often families require more than the funded hours. The family can decide which of the settings the funded hours are claimed through, this could be one or the other, or a combination of both. The 30 hours offer is likely to increase the demand for blended childcare. Meet together and look at what is needed, what each of you are able to offer. How will you manage the partnership? How communication between providers and parents will work. Process of sharing Information and what will be shared – confidentiality. Time to meet and discuss the child's progress. How the child will travel between settings - childminder drop off/pick up, walking bus etc. What do each of the settings provide and how will this work? How do you let potential customers know that you provide this service? Sharing information about the child’s well-being and development and working together to progress their development. First and foremost, this must be done in partnership with the child’s parents and with the parents’ permission, making sure they are kept fully informed and involved. If the child is already attending the other provider they will already know them well. What are their interests, likes and dislikes, how are they progressing, any concerns and what are their next steps? This is also the time to agree how often you will share information, and how this will be done: written, email, telephone, face to face meetings. To share the child’s progress, achievements, areas of concern, planning and next steps. This may include shared use of Tapestry or other online electronic recording systems. To identify and work with other agencies that may be involved with the family. To share planning and themes/topics to provide continuity for the child. Opportunities for day to day communication to share how the children are, if anything has happened that the other provider needs to be aware of and to share those WOW moments. You may also like to consider joint parent progress meetings. We talk to parents during home visits and induction sessions to ask about other childcare their child attends. We ask parents to sign to agree for us to work with childminders. We speak to the childminder as they have good knowledge of the child preferences, their needs and abilities. We have a shared confidentiality policy. We also ask parents to sign to say they agree that we can work on Tapestry together. We have quick daily chats to find out if anything has happened and how the children are and we regularly share information on the child’s progress. We contact the other provision in the first week to ask about the child’s likes, dislikes and development and if there are any plans in place for the child. We then agree on a working relationship of sharing information each term. We regularly meet and exchange information and next steps in learning. The parents are involved in every step and will pass on information to both provisions. We hold a joint parent meeting at the end of each term with all parties attending. The child’s keyperson liaises with the childminder this is done verbally and also in writing. We share day to day information at drop off and collection. We communicate verbally, by email and in writing the child’s progression in all areas, next steps, what they like to do at the setting, etc. We invite them to visit with us wherever possible which enables the other provision to observe how the child plays and learns in a different environment. We use a home/pre-school/childminder communication book. Sharing outcomes from training attended. Sharing info gained from meetings and conferences. Shared trips with the children. Keeping each other informed, ie by sharing newsletter, social media pages. Childminder being a member of the pre-school committee.